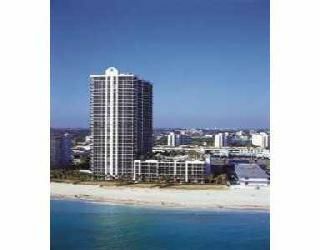 Beautiful condo with panoramic views of the ocean, the beach and the city from wraparound balcony. Two balconies in completely furnished spacious social area, king size bed in master and two twin size bed in second bedroom,sofa bed and love chair in the living room, wide screen tv in the living room and tv in each bedroom, granite countertop in sit-in kitchen, and formal dining room. Laundry room with washer and dryer in the unit. The electricity bill will be charge for the amount of months you stay. Beach Club,Fishing pier,Jacuzzy,Sauna,SPA,Fitness center,Vallet parking, Concierge 24 hrs,The most Beautifull Ocean Front View from wraparound terrace! 2 balconies overlooking the ocean and the city. We had a very good stay in the condo. Clean. The people in charge of the beach are friendly and efficient. The condo management maintain the building very clean. Good valet service and was not expensive for our visitors. Thank you very much for your response. It was a pleasure to have you as a tenant in my unit. I hope that you consider to stay in my unit in the future. I stayed with my family (6 people) for 11 days in this wonderful apartment. The building is convenientily located right on the beach, has all desirable facilities, like pool, tennis court, gim, security, etc. The apartment very clean, appliances in good condition, plenty of bed sheets an towels, the kitchen well equipped. We have special reason of gratitud with the owner. He was ready to help us, since our arrival very late at night. As an anecdotal fact, my wife complained because of the quality of the image of the TV set in the master bedroom, and the next day Anthony showed up with a brand new, big flat screen TV. We very strongly recomend this apartament for families with teens or young kids, or anyone willing to experience a pleasant vacation. We have stayed in this condo about 4 times besides our last stay there which happened last August of this year. This time we spent 7 wonderful days there, we enjoyed every minute of our stay there. First of all, the condo is in a very nice building right on the beach, it has various amenities which we used to their fullest: swimming pool, sauna, jim. Aslo, the building is very conveniently located, it is within walking distanse from shops and various restaurants which we visited frequently. The property was clean and very well maintained. We have nor experienced any problems with anything regarding the property itself, everything was in perfect shape and was working. The customer service proveded by the owner was to our satisfaction and we don't have any complaints with this regard. We will definately recommend this property to anyone and are sure they will find it as nice as we did. My family and I would like to thank the owner of the condominium for the fabulous stay for 10 days of our vacation. Unit with the ocean view, quiet, clean, steps from the beach. Owner was contacted us several times offering any assistance and recommendations for local entertainments, since we are not familiar with the aria. Unit was free from any problems. We had available to us everything to fill like at home. We had excellent vacation and we will do it again next year. PS: I am surprised by the comments from “condoseeker” from Chicago: if it was as bad as he is saying, why did you left his review 6 month later? These tenants did not want or did not know that they should obey to the rule of condominimum association and that this is not a private house. The association called me with the complaint that these tenants put the swimming wet mattreses outside the unit on the hallway. In another ocasion, they forgot the keys in the unit and they had to call at night to the emergency locksmith and had to pay for openning the unit, because the office was not responsible for the keys. The furniture in the unit is very modern and is not broken or worn out. The TVs are working fine and remote controls were not broken, and they just needed to change AA bateries. The pool was under repair, but they were allowed to use the beautiful pool in Newport hotel located steps away on the beach. I stayed in the unit few weeks ago, and I did not see any bugs or roaches and all appliances are in working order. The unit is very clean and looks as good as on the pictures. Jet Ski,Surfing,Kayaking, Sailing,Fishing, beach volleyball.